Recipes for Strong Bones, Healthy bones to prevent Osteoporosis! Much as the strength of a building depends on a sound structure, our bodies too need a strong frame in order to be healthy. Hence, it is so very necessary that we take care of our bone health by eating right, if we are to remain youthful and active throughout our life. 2. Calcium A calcium-rich diet is the most important part of any regimen for the care of bones. Calcium is a mineral that makes bones stay strong. The human body consistently remove small amounts of calcium from our bones and that has to be topped up with Calcium rich foods. Calcium is also essential for the teeth, and helps to keep them intact so that we can not only eat well, but also give those winning smiles that proclaim our youthfulness. 3. Vitamin D Helping the body to absorb the calcium is vitamin D, which also assists in maintaining adequate levels of this mineral in the blood. So we need plenty of vitamin D too. 4. Vitamin C Also helping the absorption of calcium is vitamin C, which, additionally, strengthens both bones and muscle. Because of its immunity-boosting properties, vitamin C helps in the healing of broken bones too. 5. Vitamin A vitamin A are cell growth, building immunity, promote healthy skin, and being an antioxidant it neutralizes the action of free radicals in the body, which can cause cellular damage. 6. Magnesium Magnesium is necessary for formation of bones and teeth. 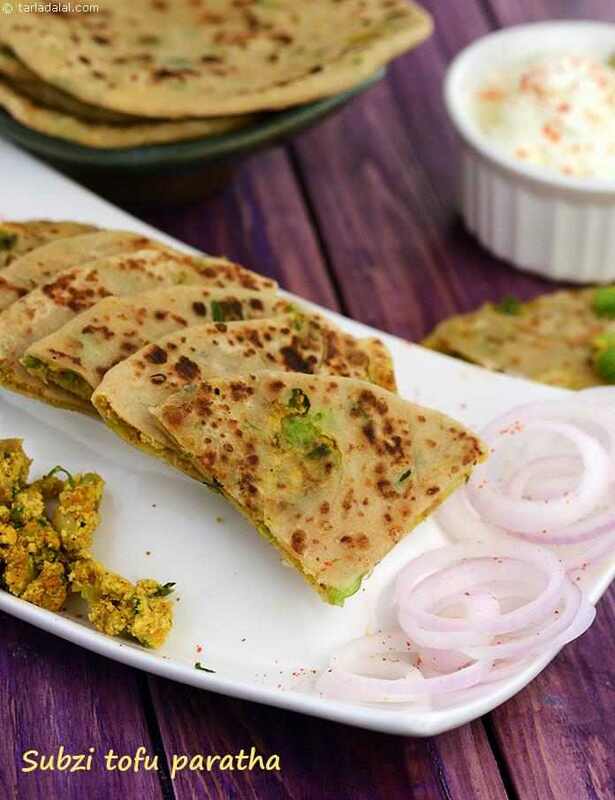 The secret of this savoury pancakes is the use of ragi flour spiced with ginger and green chillies. You can eat healthily and yet enjoy some of the favourites. Here's a classic example of cooking a subzi like methi with just a teaspoon of oil for 2 people. Soya bean nuggets and peas simmered in a tangy curd based gravy. A satiating fruity in-between snack, that can be made in a jiffy. The antioxidant flavonoids from soya, fibre from apples and the bio-active compound from cinnamon helps to avoid a quick rise in blood sugar levels and the low-fat milk gives you enough calcium while avoiding the unnecessary fat. Here's a winner to a real North Indian flavour. Enjoy this traditional rice goody…. just minus the fat from it like I have done in this recipe as excess fat hinders with the absorption of calcium in the body. Spinach and toovar dal used for this mildly spiced recipe, makes this dal a rich calcium source. Serve hot with roti or rice. While not universally popular, ragi abounds in iron and calcium which helps to build haemoglobin and strengthen bones. Spring onions, carrots and green chilli paste add crunch and flavour to these ragi rotis. A leaf off Oriental cuisine, the Paneer, Vermicelli and Mushroom Vegetable Broth is a tangy, awakening soup that will awaken you with its myriad flavours. Paneer is a star ingredient of this broth, as it provides ample calcium for healthy bones and teeth. A great way to sneak in protein and calcium packed soya nuggets in your diet. Pep up nachni flour by mixing it with moong dal and paneer to make an ideal breakfast paratha! cooked moong dal also provides the necessary binding. An elegant and tempting dessert for kids who are fussy about milk. A word of caution here...... Don't make a habit of serving ice-creams as a daily treat. Hello, of course, this paragraph is really nice and I have learned a lot of things from it regarding blogging. Thanks. Tarla Dalal Hi Vikram, Thank you so much for your kind words. Happy to know you liked our recipe collection.